I didn’t plan on doing any book reviews on this blog. It’s a blog about my husband and I and our life. However, reading is a hobby of mine and therefore, part of my life. Also, this blog is meant to be about everything, anything and nothing so I guess a book review or two is perfectly fine. 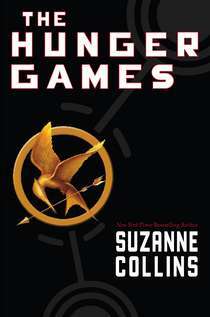 I heard so much about The Hunger Games, by Suzanne Collins and so I decided to give it a try. Wow! This book was so good. It’s a book for teens and younger readers but having a teenager, I read a lot of books like this. It was an amazing story. I was completely hooked by the end of chapter 1 and finished the book in 2 days. I actually spent 5 hours glued to one spot last night reading this book. If you haven’t read the book but enjoy reading then you should try it. It’s got everything…adventure, survival, violence, love, love triangles, hunting, corruption and more! I have only read the first book of the trilogy but plan to start book 2 today (which means you may not hear from me tomorrow!). I was so completely impressed that I couldn’t help but do a short review on the book and what I thought of it. The story line is completely f**ked up. It’s about a bunch of children 12-18 being thrown together and basically forced to kill each other on live television! That’s the short version of the plot, but it’s also about so much more than that. So that’s my short raving review. Have you read the book? Do you have a favorite book? Share this post with everyone and follow us!